Moore Technology Center, Sinclair Community College, Dayton, OH. 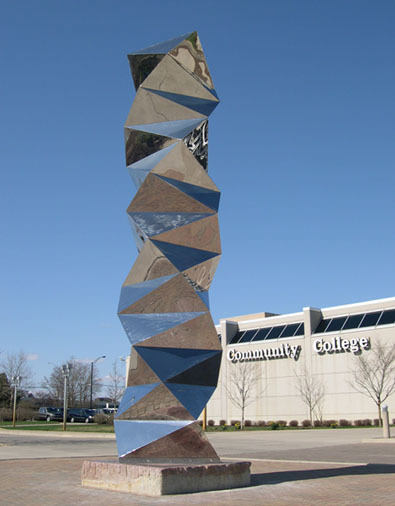 PARADIGM SHIFT, c 2005, mirror stainless steel, 23'hi. x 4' x 4', OAC % Art, Moore Technology Center, Sinclair Community College, Dayton, OH.